My darling husband celebrates his birthday this coming Sunday, so I put on my creative cap ... which has been lost for some time ... and whipped up a card for him so thought I would share his card with you. There is a bit of a sneak peak on this card ... can you see ... it's the very versatile Simply Stars. All stars on the card are from this set except for the Square Lattice embossed star. 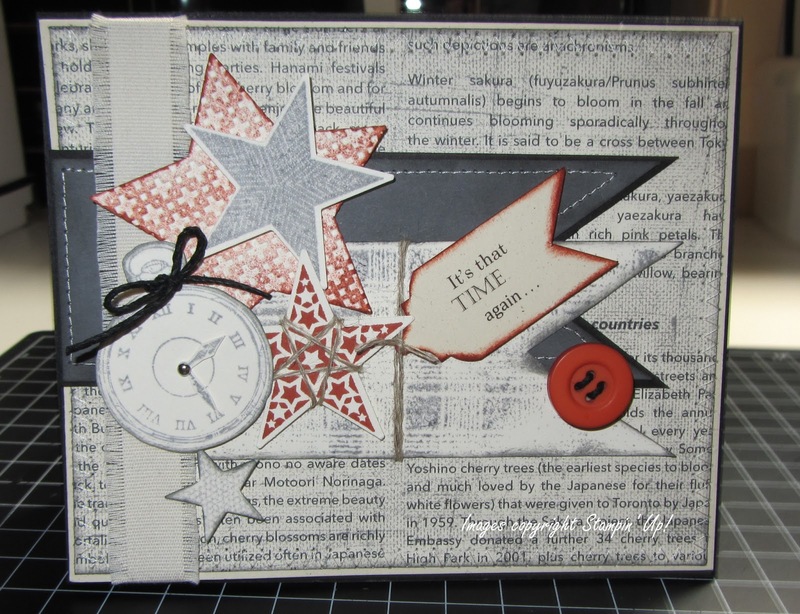 This large star was cut using a non Stampin' Up! die and sponged with Cajun Craze ink. The Fishtails were cut using a ruler and scissors and you will see that one is stamped with the retired background stamp Flannel Plaid. The clock was stamped on Very Vanilla with Basic Grey ink and this is from the Clockworks set. The printed paper is from the First Edition Specialty DSP ... soon to be retired and the frayed Cotton Ribbon and button are also retired.The small fishtail with the saying on it was done on the computer. The current Idea Book retires on Sunday and the new 2013 / 2014 Idea Book goes live on Tuesday July 1st. If you need to order any retired products, just click either on the image below or the Online Order image to the right on my blog. Orders will be shipped direct to you. Or you may email me to place your order. 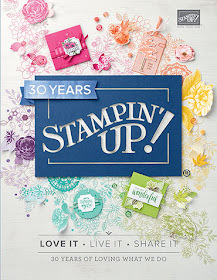 For Stampin' Up's 25 year anniversary, they’re bringing back some of our favourite stamp images from the last quarter century and combining them into 5 sets, which will release — one set per month — all sets will be available through until April 2014. Even better, along with some great classic images, each “Best of” set will also include a never-before-seen image! 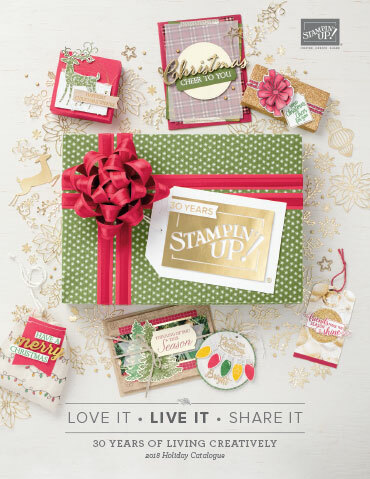 All Best of stamp sets will include 3-5 images, including a never-before seen image, and will be priced at $25.95. 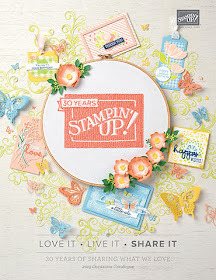 While we are releasing just one Best of Stamp set per month (with a new theme each month) until October, all of the Best of sets will be available until April 2014. The stamp images may be sized differently from the original stamp sets. If you would like to order this set, just click the Online Ordering button on the left of this blog.